What States are Legalizing Sports Betting After the Ban was Lifted? 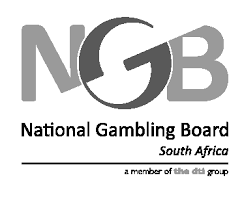 Organizations such as National Gambling Board (NGB), say that online gambling in South Africa is illegal and carries penalties for gambling online. Online gamblers face the risk of having their winnings seized and placed in the Unlawful Winnings Trust also run by the NGB. The fact is that NGB and the Casino Association of South Africa tell you it is clearly illegal. The legal situation is more complex and the result of mixed messages from the South African government. Gambling in South Africa is regulated by the 2004 National Gambling Act. This law laid out which forms of gambling would be allowed. Mainly land-based casinos, sports betting and some gaming machines. Lotteries were already legalized under a 1997 Act. The 2004 Act did not legalize online gambling. It however show that the government was considering this move and required the NGB to look into the issue. Four years later, the South African government came up with the National Gambling Amendment Act. 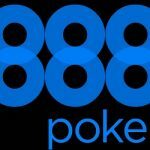 This Act laid the foundations for the country to fully legalize online gambling. With these steps, the government appeared to be signalling that it was in favour of online casinos being legal. Yet although the 2008 Act was signed into law by the President in the summer of that year, it was never implemented. Due to administrative delays and subsequent back-tracking by politicians, the Act was put on one side. The situation was further complicated by a report from the government-created Gambling Review Commission in 2010. This report recommended that online gambling should be regulated and legalized. But it was rejected by the government. There then followed a Supreme Court of Appeal judgement in 2011. Anyone offering online casino gambling to South Africans along with any South African gambling on such a sitewould be breaking the law. Meanwhile, the online casino gaming industry is thriving. 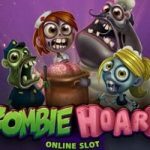 There may be as many as 2,000 online casinos serving South African gamblers offering the latest in slots including big money progressive slots. Most will also accept deposits and process withdrawals in Rand, which removes the inconvenience of currency exchange. While an internet search will bring up hundreds of South African online casinos, players are still advised to tread carefully. The legal grey area for online gambling in South Africa has made it possible for some unscrupulous operators to move into the market. 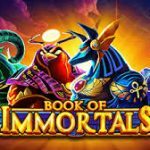 Players who risk their money on such sites could lose it all or face delays or non-payment of winnings. Unfortunately less reputable sites are also more likely to take a lax approach to security. 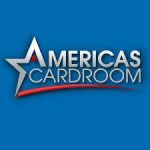 This entry was posted in Casino Blog on August 20, 2018 by admin. Big B Casinos © 2007 - 2019 - All rights reserved.